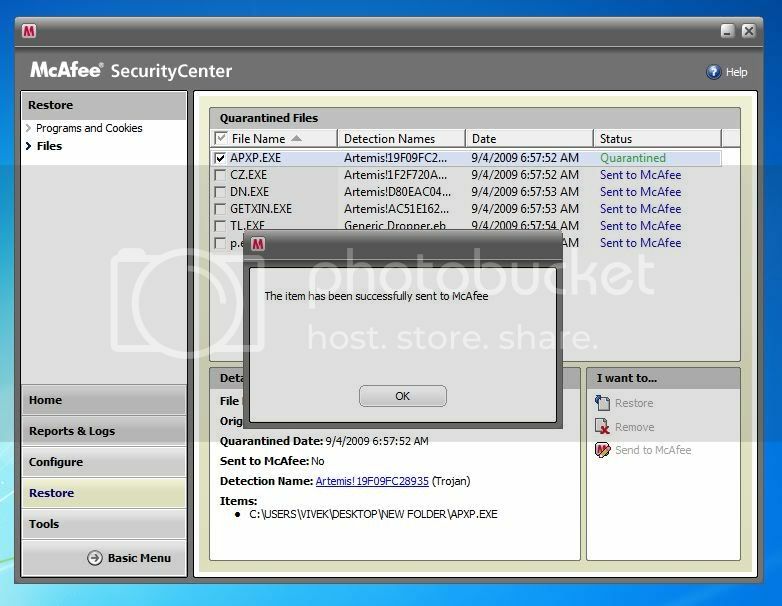 i want to submit all the files that are getting detected by McAfee with realtime Artemis system directly from my quarantine by the option of "send to McAfee". The problem is it gives me error when i try o send file by this way.. Please tell me the reason behind it..!! I get similar issues when ever I've tried to do it from within the Security Center except that in my case it says "network error", which is absurd as I'm not on one. Anyway, as they are Artemis they already have been checked and not found in the database so it may be a good idea to send them up, especially if they are false positives. (You'll see there that they are now accepting larger submissions....unofficially).